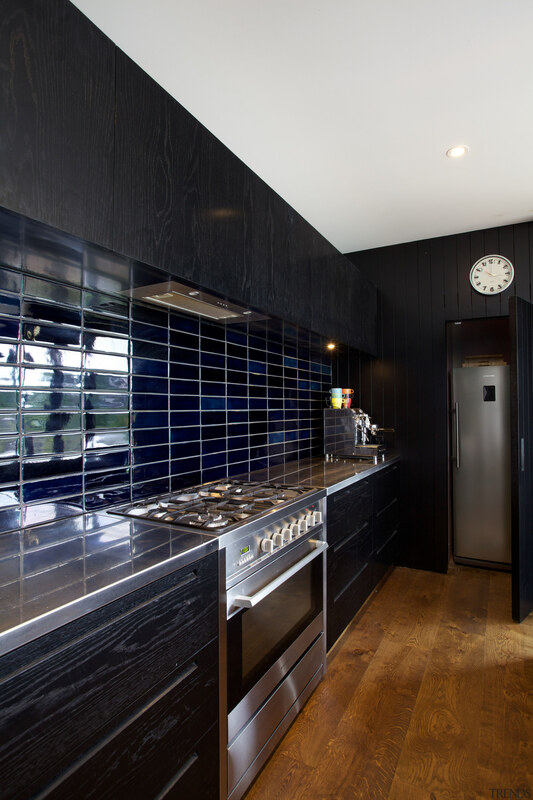 A Vibiemme Domobar coffee machine was plumbed into this kitchen for ease of use. The refrigerator occupies a niche behind a door. This space juts out from the house, which makes it reminiscent of a traditional food safe. The design is by David Ponting.